Twenty-four weeks to go . . . Next project, a reusable grocery bag; maybe two or three. I made my first reusable grocery bag last night, July 17th, I used Shabby Fabrics – YouTube video tutorial. 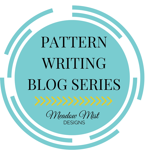 There’s a free downloadable pattern. I posted my pics and the video.